Go Cara! Go white shorteralls! Todays outfit is inspired by one and only Cara Delevingne, who's style is so me. There's nothing more comfier than overall on a hot summer day. 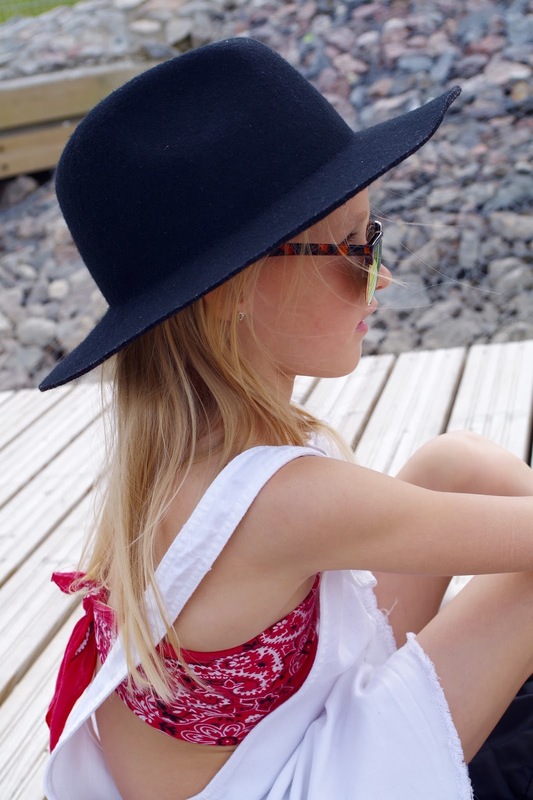 Just use your bandana as a bikini top and throw on a fedora - your look is one of a kind. 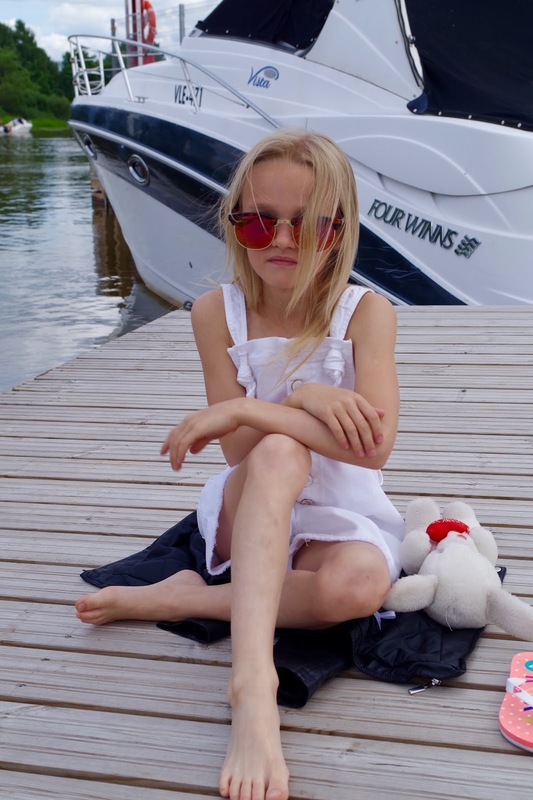 It shows how easy it is for even 7 year old girl to try and look edgy as hell.